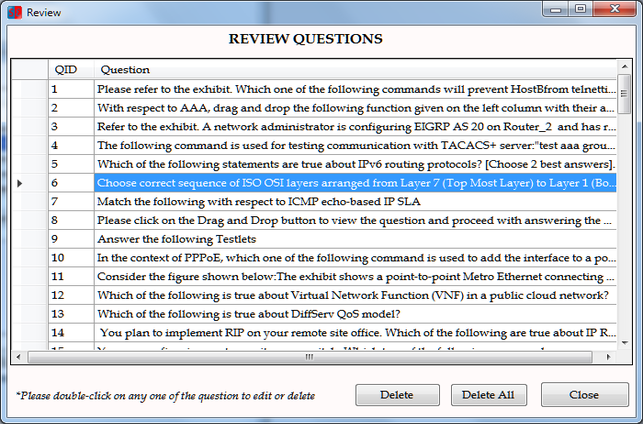 Add/Edit and Exam : Here, the author would be able to add a new exam or edit an existing exam. After finishing populating the questions into the exam database, one needs to Export the question database to any known location. All the related files are saved in that directory. Note : One needs to remember the path where database is exported as same will be needed for importing the database into the Exam Engine for administrating the exam. Exam Name : A relevant name which will be used by author to identify the exam at any time. 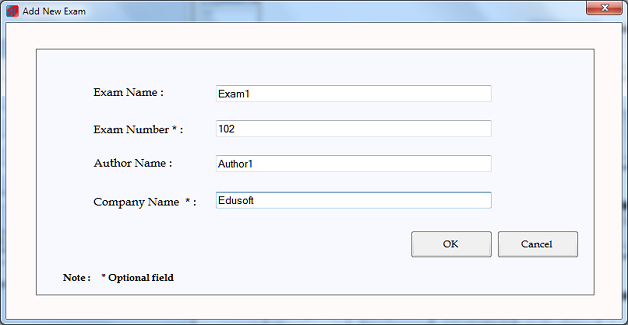 Exam Number (Optional) : In case the exam to be created needs a specific exam number it can be provided in this field. Author Name : Author name should be provided in this field. Company Name (Optional): In case the exam created/Author is associated with a specific company its name can be provided in this field. 2. 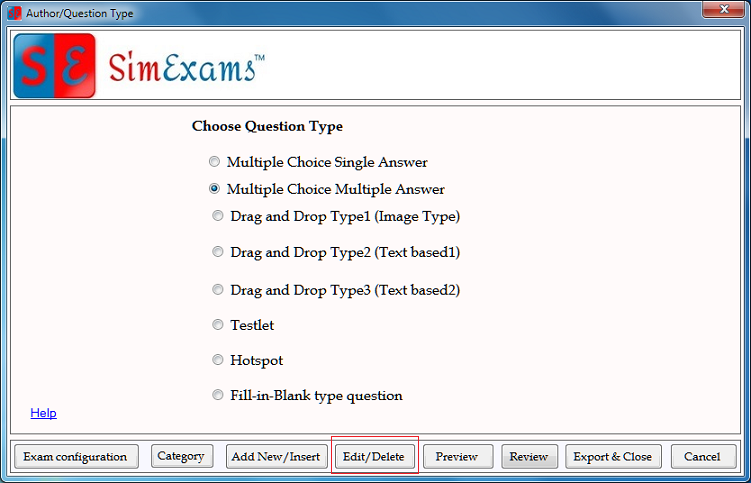 Edit Questions In Existing Exam : This option is used to edit questions present in a already created database. All the exams currently available in author are listed, Select the exam you need to edit and click "Ok". 2.1. You will be provided with menu to edit the questions, select the question type you want to edit and click on "Edit/Delete" button. All the questions in selected question type will be displayed in editor one at a time. Use "Previous" or "Next" button to navigate to the question you want to edit, then make required changes and click on "Edit" button to save the changes. 2.2. You can also click on "Review" button to list all questions present in the database. Double click on any question you want to edit to open the question in the editor. Selected question will be opened in the editor. Make the required changes and click on "Edit" button to save the changes. 3. 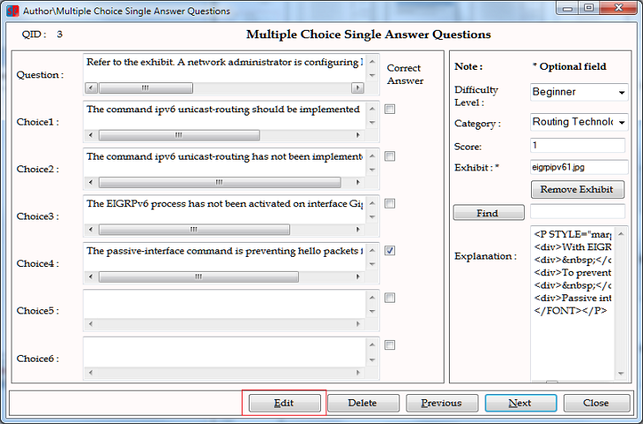 Export : After author finish populating the questions into the exam database, he/she needs to Export the question database to any known location. 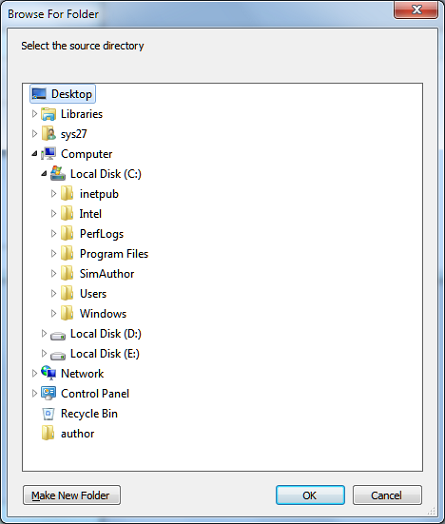 All the related files are saved in that directory. 3.1. Export Exam: All the exams created using author are listed. Select the exam you want to export from the list and click on "Export & Close". 3.2. 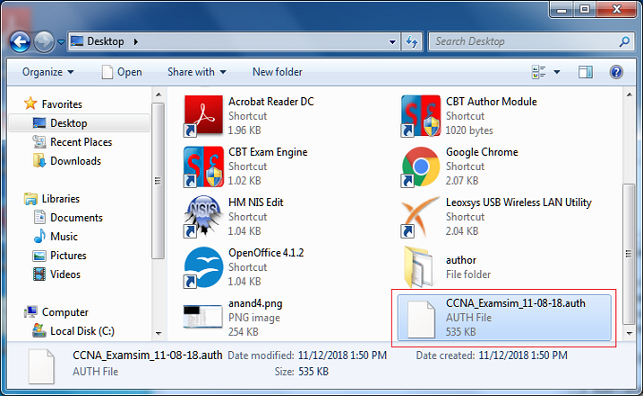 Browse For Folder : In this screen select the location you want the exported exam to be saved and click "Ok". 3.3. Exported Exam can be found at the selected location.